Imagine you traveling to the edge of the world. A string of Islands out in the ocean. Alpine peaks rising from sea level. Never-ending days where the sky is changing from blue, to grey, to pink, orange and burning red. 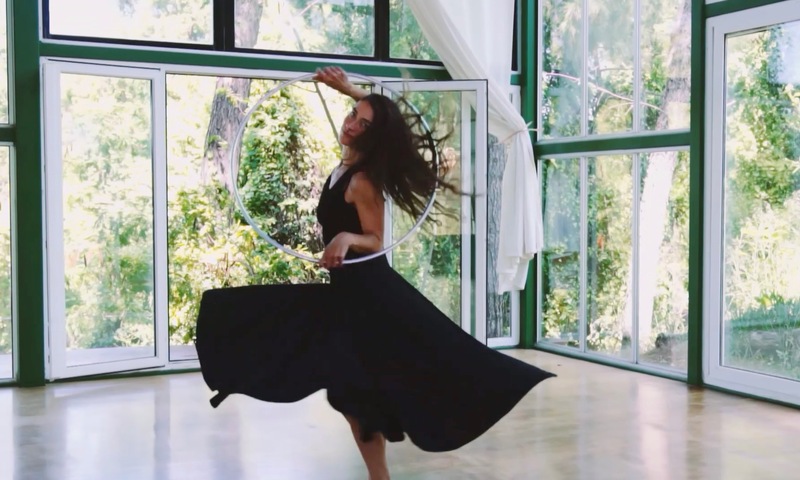 You exploring your hooping, expanding your views and enjoying nature. We call this place the magic islands. You sense why once you arrive. Welcome to Lofoten. 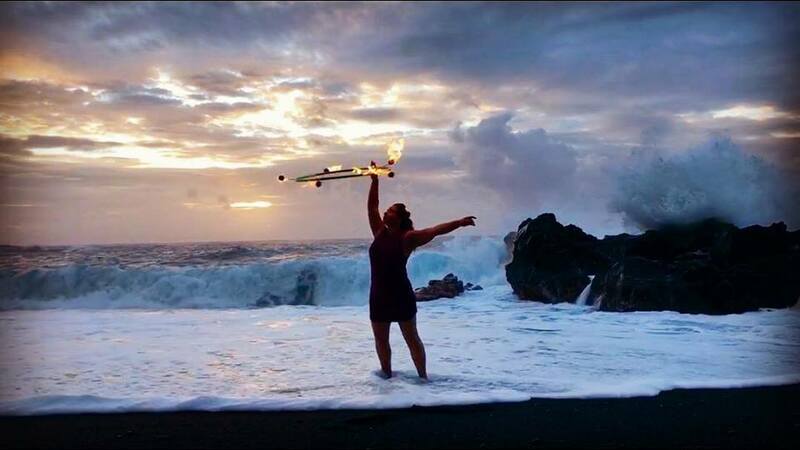 “This was one of the most incredible experiences of my life. 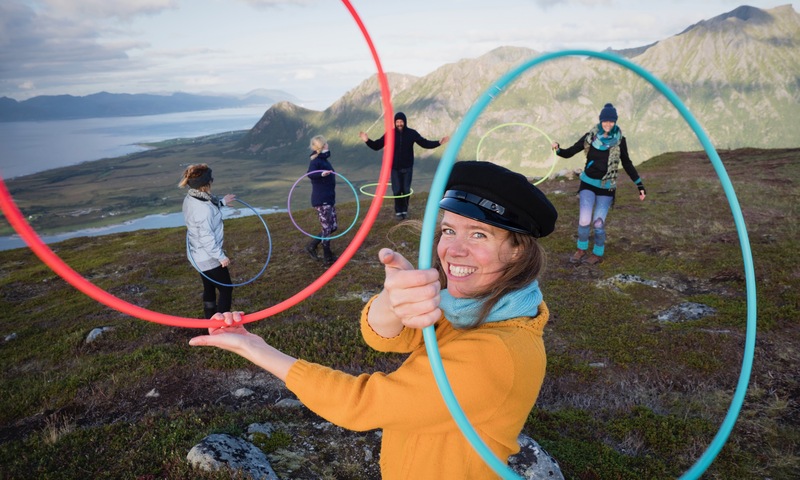 Book your arctic hoop experience! 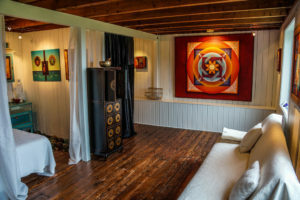 This weeklong retreat will start with opening circle Tuesday the 16th of July at 19.00 (07.00pm) and end Sunday 21st of July at 14.00 (02.00pm). 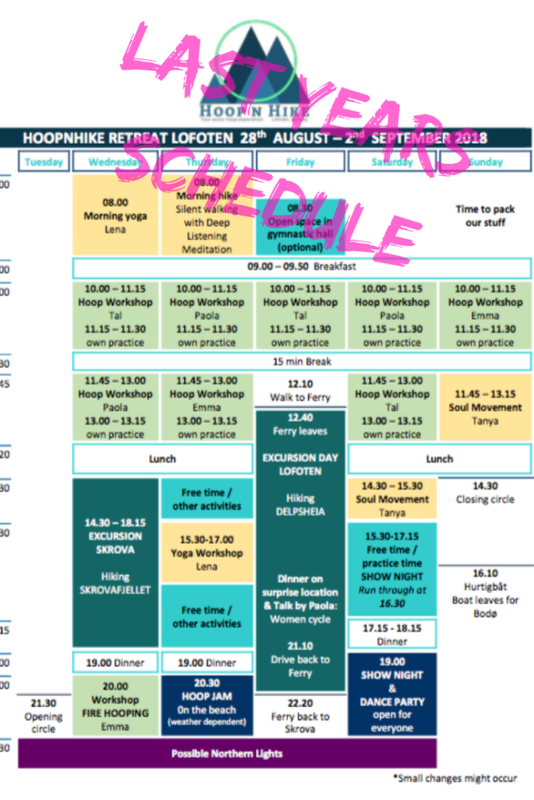 Your Hoop n Hike adventure includes all amazing workshops, three daily meals, (vegetarian/vegan options), accommodation in a beautiful and artsy home- at the Dreamcatcher retreat. 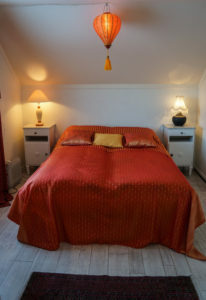 The sleeping obtions are as follows: the gallery -4 beds, the mediation room -4 beds, one single room -1 bed (additional cost), the amazing garage has -3 beds (this room has a reduced price, since you have to do a beautiful walk in fresh air, to reach one of the toilets.) 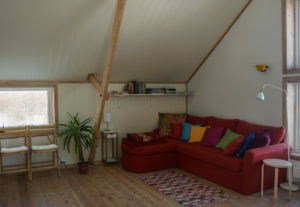 For the adventurer we even have a lavvo/tepee which can comfortably house -5 people, here you also have to use the toilet inside the house (bring your own sleeping bag/mat), and last but not least the budget version bring your own tent, sleeping bag and mat and camp in the magical garden. 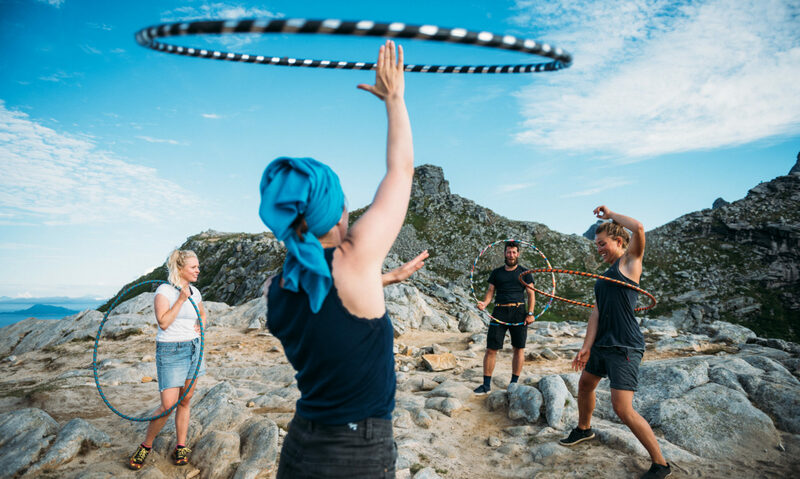 You will have daily hiking oportunities, silent time for you to explore or relax, stand-up paddeling, and one full day excursion of the Lofoten Islands. 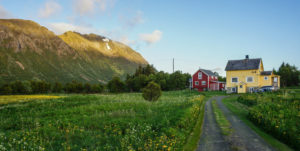 During our full day excursion we will explore some more of what Lofoten has to offer. 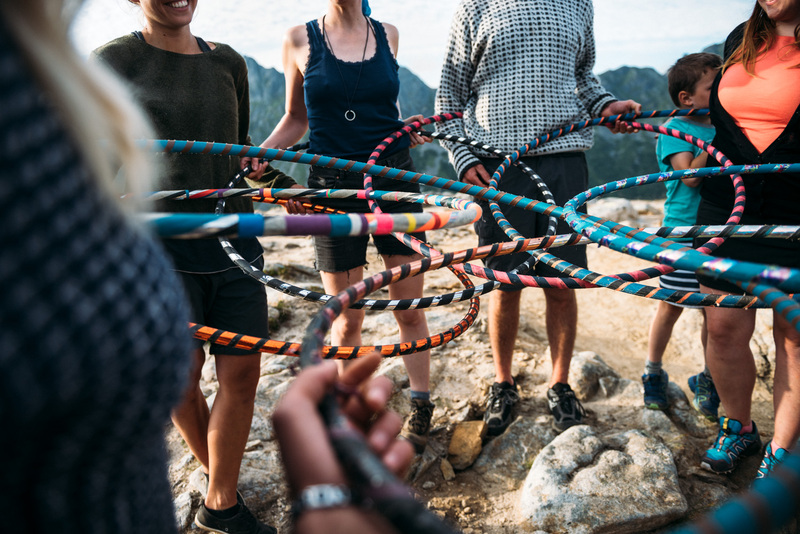 Hike another mountain, visit one of our beautiful beaches, eat our lunch outdoors, have hoop jam and maybe there will be some surprises. Terms and conditions please read before booking! 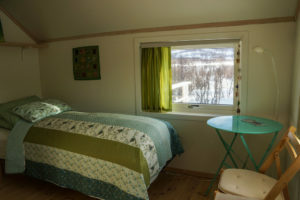 Bed in shared room (4 beds) . Includes all amazing workshops, all tasty meals, excursion day trip, accommodation in gallery or medition room. When buying a ticket you agree to these terms and conditions. 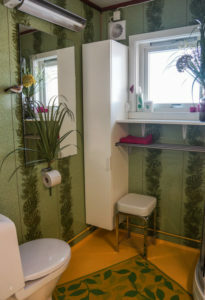 Budget 1, Wills garage, shared room with 3 beds, walk outside in the fresh air to use the bathroom in one of the two other houses. 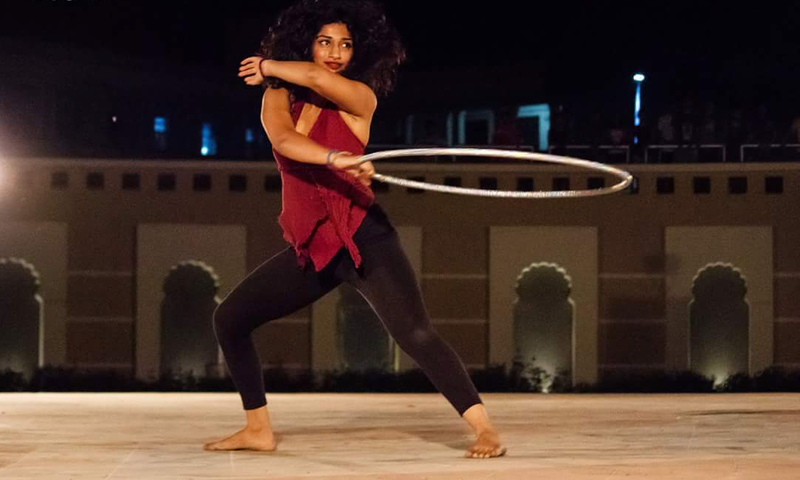 Includes all amazing workshops, all tasty meals, excursion day trip. Budget 2, Lavvo/tepee tent, a real adventure under the midnight sun. 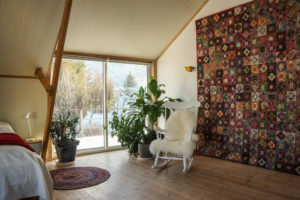 The lavvo is a big tent and is suitable for 5 persons, here you will need to bring your own sleeping mat and sleeping bag, and also take a walk outside in the fresh air to use the bathroom in one of the two other houses. 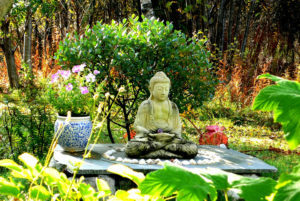 Budget 3, bring your own tent, and camp in the beautiful garden. 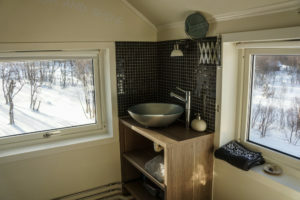 In addition to your own tent , here you will need to bring your own sleeping mat and sleeping bag, and also take a walk outside in the fresh air to use the bathroom in one of the two other houses. 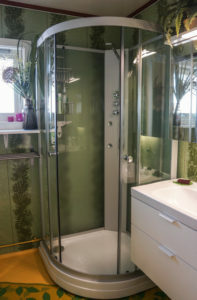 Showering will be done at the gymnastic hall. 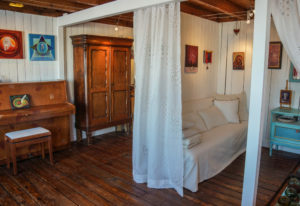 Singel Room, only two available. 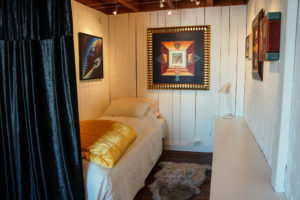 Here you have the comfort of resting in your own beautiful room. 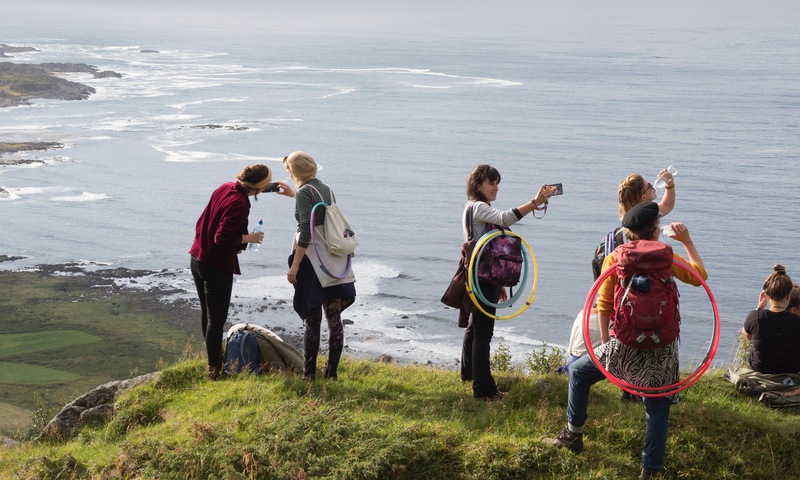 Includes all amazing workshops, all tasty meals, excursion day trip. 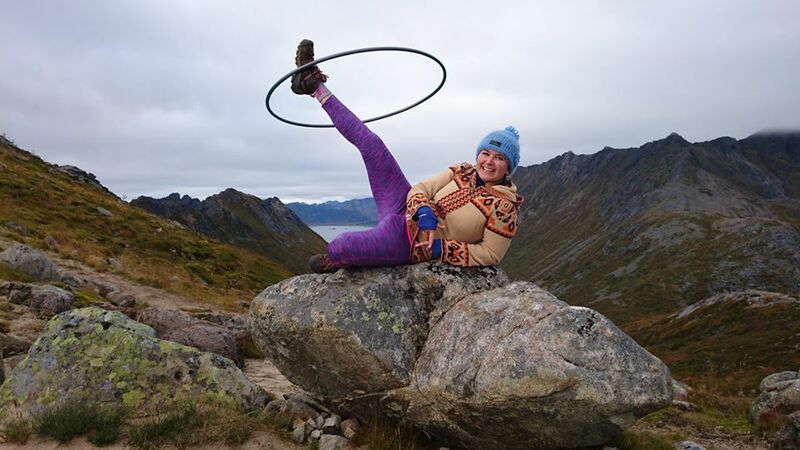 Want to go on the arctic hoop adventure but can’t pay all at once? We offer a payment plan where you divide your payment in four batches (80 Euros in administrations fee will be added an divided in your four payments). Pay the first deposit of 250 Euros to save your spot. The remaining amount will be divided in four payments sent as PayPal invoices. The deposit is non-refundable. Full price to be paid at the latest June 30th. The Lofoten archipelago is located in the sea, north of the Arctic Circle between the latitudes of 67° and 68°. 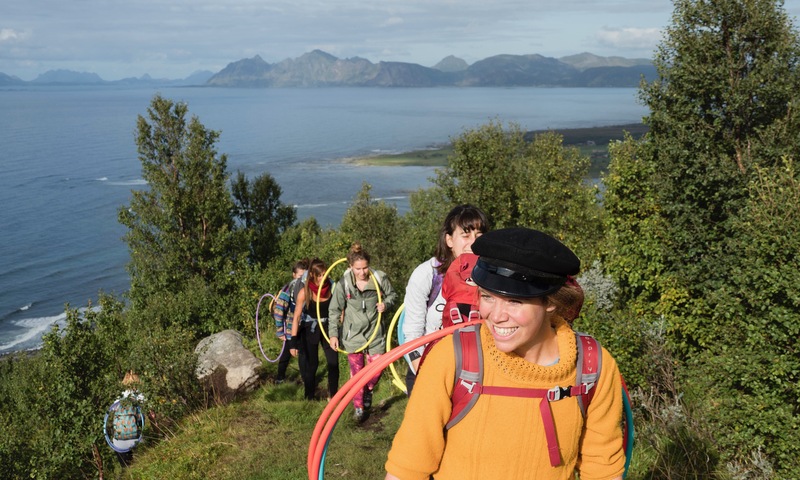 The Hoop n Hike retreat will be held in the small village of Laukvik in the beautiful location of the Dreamcatcher retreat. This is the perfect location to experience the midnight sun. 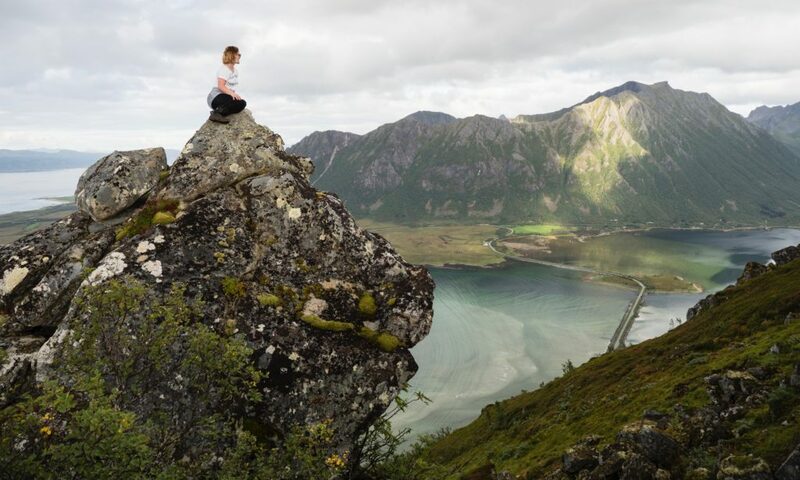 Traveling to Lofoten and the end of the world is and should be an adventure. There are several options to make this a unique experience. They will all give you scenic views you´ll never forget. TRAIN and boat/bus alternatives: Adventourous souls may take the train (nsb.no) from somehwhere in Europe, choose the route through Oslo and Norway to Bodø. From Bodø you may take a 3.5 hour boatride to Svolvær, and we´ll arrange pick up from there. 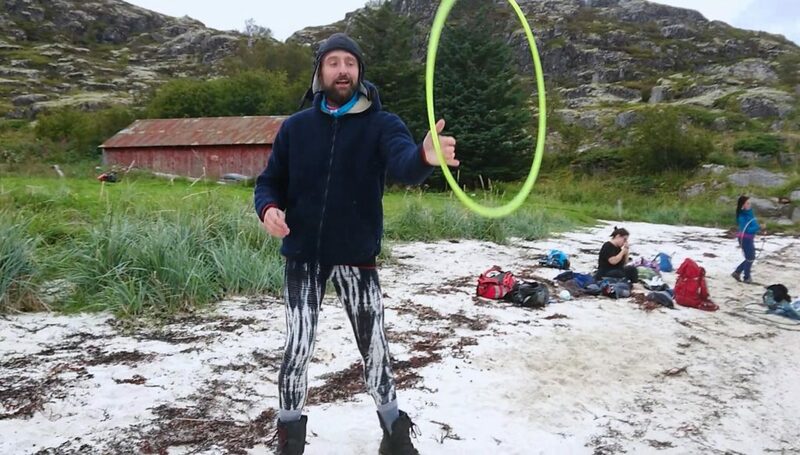 You may also travel through Sweden by train (SJ) to Narvik and then take a bus for 3.5 hours. These two obtions will be the cheapeast and you might get the price down to around 150 euros one way. BY PLANE /bus: If you want to travel by plane I recommend flying into Harstad / Evenes (EVE), airport, and then take the bus for 2.5 hours. Both SAS and Norwegian flyes here, and both have campains regularly. 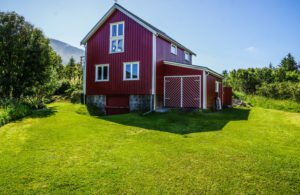 Another option is to fly all the way to Svolvær (SVJ), this will add another 20 min plane ride to your overall travel. 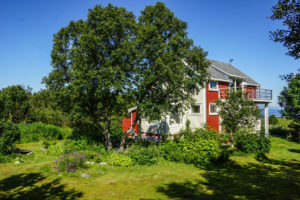 We also reccommend you to stay some extra days and explore the rest of Lofoten either before or after the retreat. 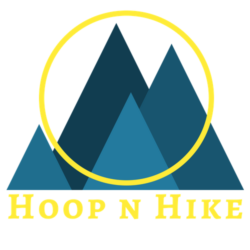 If you have any questions about your Hoop N Hike travel, please don´t hesitate to write an email to horockeringdama@gmail.com. 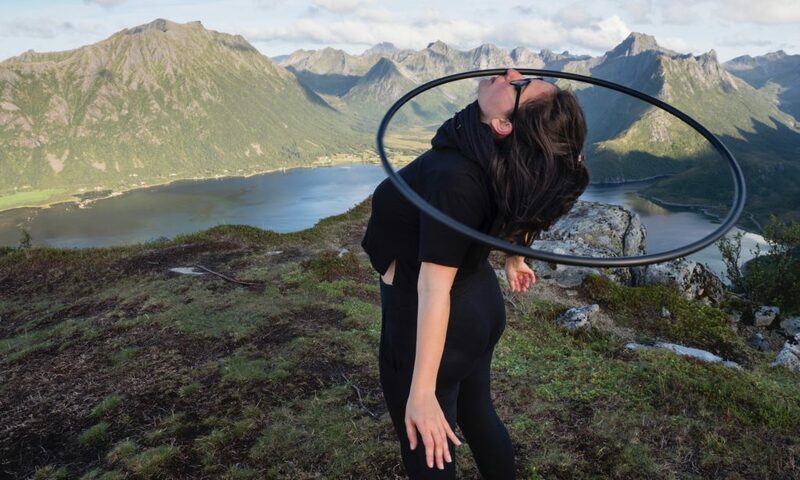 Where is this arctic hoop experience?